Kids Post: Go Batty for Garden Bats! Halloween means witches, ghosts, skeletons, black cats . . . and . . . bats! What??? Did you know that bats are garden helpers? But, bats often get a bad rap. They aren’t all that attractive. They hang out in strange places. They may scare us when they fly around in the dark. And some bats can spread diseases if they bite! We have 13 bat species in Buncombe County alone! The ones you are most likely to see are big brown bats because they may roost in attics. 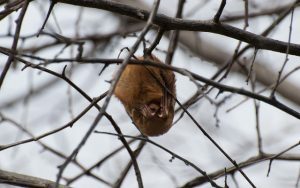 These and eastern red bats are the bats that often fly around lights at night and are most likely to visit our gardens. They eat insects. Were you covered in mosquito bites every time you went outside this summer? Bats eat mosquitoes and garden pests such as stink bugs, fruit flies, moths that produce cutworms, webworms—and more—helping keep insect populations in check. They can be pollinators. Some bats in Arizona, Florida, Hawaii, and other tropical areas and deserts pollinate fruits—such as bananas and mangoes—as well as agaves and cactuses. They make fertilizer. Then there is bat poop . . . called bat feces or guano. This makes an excellent fertilizer containing nitrogen and phosphorus, important nutrients for growing strong, healthy plants. Back to the scary bats . . . a bat in your house can be frightening. A bat flies around the house because it is confused and trying to get out. To help the bat leave, stay calm, get an adult to help get the bat into one room, dim the lights, open all the windows (remove the screens! 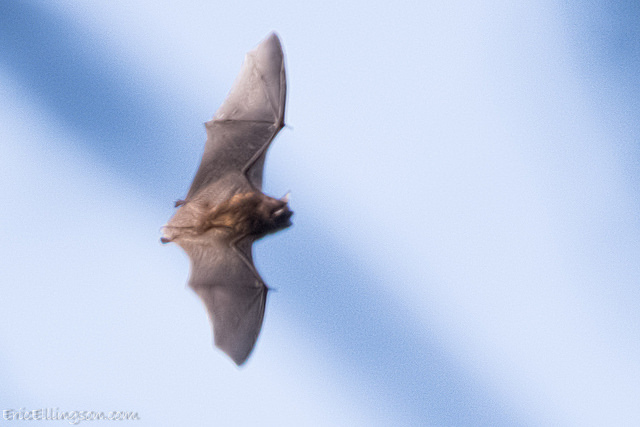 ), and stand quietly away from the windows until you see the bat fly out. Do make sure that the bat has left the house—the bat may get tired and hide behind a sofa or dresser! And those diseases—never touch a bat! You may see them roost in trees during the day—they like to sleep upside down! You may see a bat on the ground that looks sick or dead. Don’t touch! Find an adult right away. You may want to buy or build a bat house to welcome bats to your garden. Bats use these houses to start new colonies or as new homes for colonies evicted from attics or other places. 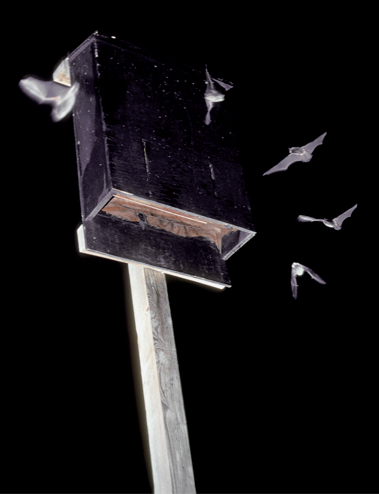 If bats are a problem in one location, provide a bat box before evicting them! You can mount bat boxes on posts, poles, or on the sides of buildings.